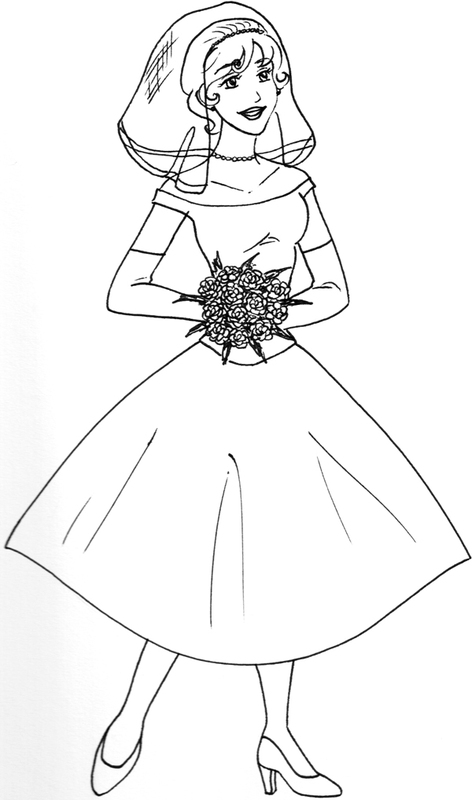 Here’s a simple drawing of a bride with a 1960’s influenced wedding dress. I was trying to make the era a little vague (although I am a fan of the costuming in MadMen). This was drawn by hand with a black gel pen in my sketch book, over a pencil sketch. I created this after a suggestion by my sister to design a retro themed wedding set, for my Zazzle Shop. Although I like the drawing, I’m not sure if I’ll be able to use it for a wedding template, but maybe I just need to draw a matching groom. I really like this, Although the image has a retro/vintage I think you have drawn it extremely well as it seems to have a 'timeless' feel to it also. A very hard thing to do, good work! Thanks for your nice comments, I'm glad you enjoyed this one!